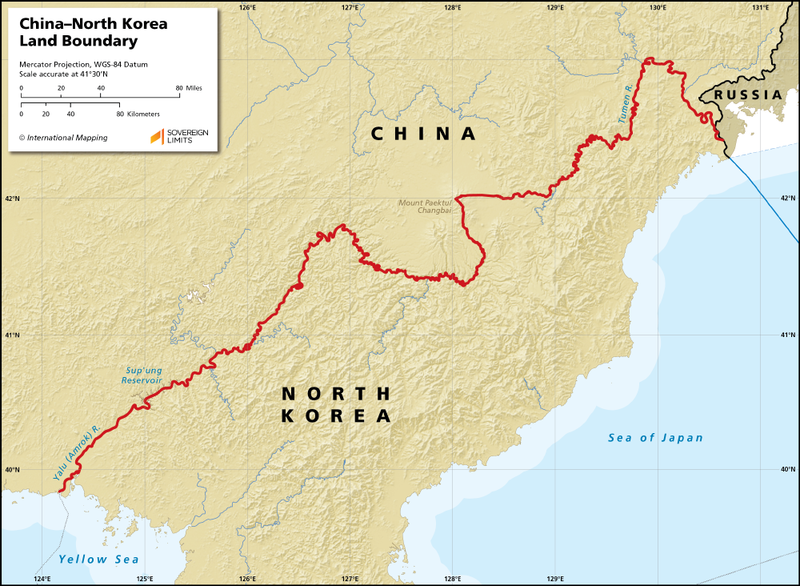 The boundary between the People’s Republic of China and North Korea (Democratic People’s Republic of Korea) extends for 1,416 km. The majority of the boundary follows the Tumen and Yalu Rivers, though there is a section of the border that extends through the mountainous region of Mount Paektu/Changbai. There is a significant lack of documentation available regarding the border. 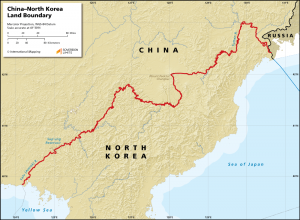 A Chinese–North Korean commission demarcated certain sections of the boundary during the early 1960s, but it does not appear that the entirety of the frontier has been demarcated. There are numerous disputes along the boundary, including the Mount Paektu/Changbai region, the course of the border along the Tumen and Yalu Rivers, and the allocation of islands in the two rivers. It is unclear if the Chinese and North Korean governments have engaged in any recent negotiations concerning these issues.